At least 4,231 people died or were declared missing during natural disasters across the archipelago this year, making it the deadliest year in little over a decade, according to the National Disaster Mitigation Agency (BNPB). The string of disasters that hit Indonesia in 2018 began in January when an earthquake shook Jakarta on Jan. 23, with the epicenter located in Lebak, Banten. The quake struck in the afternoon when the city dwellers were at work and school. Panic ensued. People fled from their buildings and severe traffic jams followed. The BNPB has recorded 2,426 natural disasters since, including a 7.4-magnitude earthquake that rattled Central Sulawesi in September and a 6.4-magnitude earthquake that jolted Lombok and Bali islands in July. The actual number of disasters this year was lower than the 2,862 in 2017, but the casualties were higher than the 378 in 2017 and the 578 in 2016, when there were 2,306 disasters. “This year is a disastrous year for Indonesia. At 4,231, it is the largest death toll that we’ve seen since 2007,” BNPB spokesperson Sutopo Purwo Nugroho said in Jakarta recently. Meteorology, Climatology and Geophysics Agency (BMKG) chairwoman Dwikorita Karnawati said the nation lacked programs to raise disaster awareness, despite the country sitting on the Pacific Ring of Fire, making it prone to earthquakes and volcanic eruptions. Data from the United States Geological Survey (USGS) shows that from Jan. 1 to Dec. 24, the country experienced 221 earthquakes measuring more than magnitude 5. The number of earthquakes measuring more than magnitude 2.5 was 1,807 in the same period. BNPB head Willem Rampangilei said hydrometeorological hazards accounted for 97 percent of disasters, with tropical cyclones and floods the most common. However, geological hazards such as earthquakes, tsunami and soil liquefaction claimed the most casualties. These hazards accounted for only 3 percent of the total 2,426 disasters recorded until mid-December, but they claimed 3,969 lives. The figures do not include casualties from the recent Sunda Strait tsunami, which was triggered by Anak Krakatau’s volcanic eruption and underwater landslide, which hit Banten and Lampung on Dec. 22. The latest death toll was 430, with dozens still missing. Earthquakes in Central Sulawesi and Lombok caused the most deaths. On Aug. 6, a 7.0-magnitude earthquake struck Lombok, West Nusa Tenggara (NTB). A popular tourist destination, the disaster took a toll on the island’s economy. Residential housing was worst hit. In North Lombok regency, which experienced the worst damage because of its proximity to the quake’s epicenter, nearly 75 percent of homes were destroyed. Many houses collapsed because they were not quake-proof, burying people under the wreckage. In Palu, a tremor-triggered tsunami killed the most people. On Sept. 28, hundreds of people had gathered near the sea for the Palu Nomoni Festival, an annual cultural event. Tsunami expert Abdul Muhari said Indonesia lagged behind other countries in building and maintaining a tsunami early warning system. He added that in Japan, which also deals with frequent earthquakes and tsunamis, one to five seismographs were placed in each subdistrict, with the addition of tsunami detector buoys in its waters. 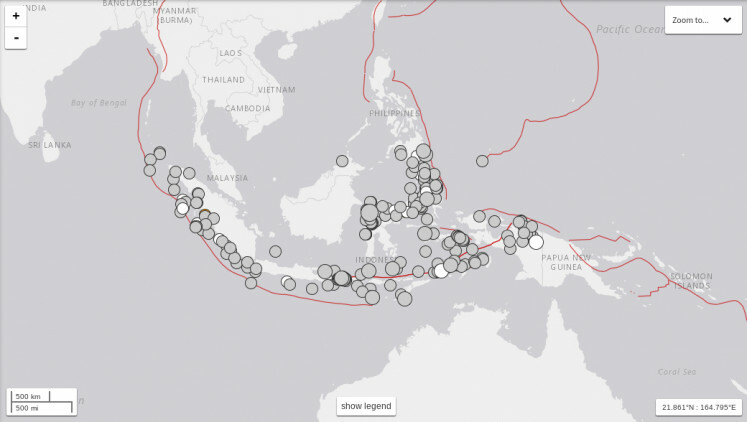 After the Palu tsunami, Sutopo revealed that real-time tsunami detection equipment in Indonesia was almost nonexistent. “No tsunami detection buoys are in operation in our country right now, which are necessary to detect such waves early. Most of them are broken because of vandalism,” he said. The same concern resurfaced after the Sunda Strait tsunami. After the news of a tsunami broke, debate over whether it was a tsunami or a tidal wave dominated social media. The BMKG initially announced there had been a tidal wave in the Sunda Strait, refuting claims of a tsunami. Only hours later did the agency confirm that a tsunami had taken place and that it was likely to have been caused by the combination of a high tidal wave from the full moon and an underwater landslide. The BMKG also said in its statement that seismometers around the Anak Krakatau volcano had been damaged by an eruption. Anak Krakatau has been active since June. Sutopo said there was no warning of the Sunda Strait tsunami because it was not caused by a tectonic earthquake, saying that Indonesia is not equipped with an early warning system for volcanic tremor-triggered tsunami. The series of natural disasters is a sobering reality for Indonesia, which is keen to promote its tourist attractions to boost its economy. Previously, Lombok and Bali suffered from significant losses after multiple earthquakes and Mount Agung eruptions between 2017 and 2018. The Sunda Strait tsunami also struck the coasts of Banten and Lampung, which are popular tourist destinations during the holiday season. Previously, the Volcanology and Geological Hazard Mitigation Center had cautioned tourism management groups and local administrations about the increasing activity of 20 volcanoes across the country. Anak Krakatau is under 24-hour observation, along with Mount Sinabung and Mount Siputan, both in North Sumatra. Central authorities have forecast that hydrometeorological hazards would remain the most likely natural disasters to happen next year. With the legislative and presidential elections slated for April, Willem said the disaster mitigation agency was prepared to minimize the impact of any natural events, particularly during key dates. “Next year will be a very busy year for us all while natural disasters would also continue to occur in many places across Indonesia. 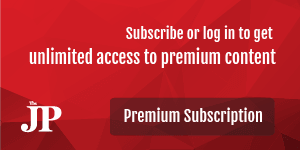 This might affect important events, but we are prepared to anticipate them,” he said. 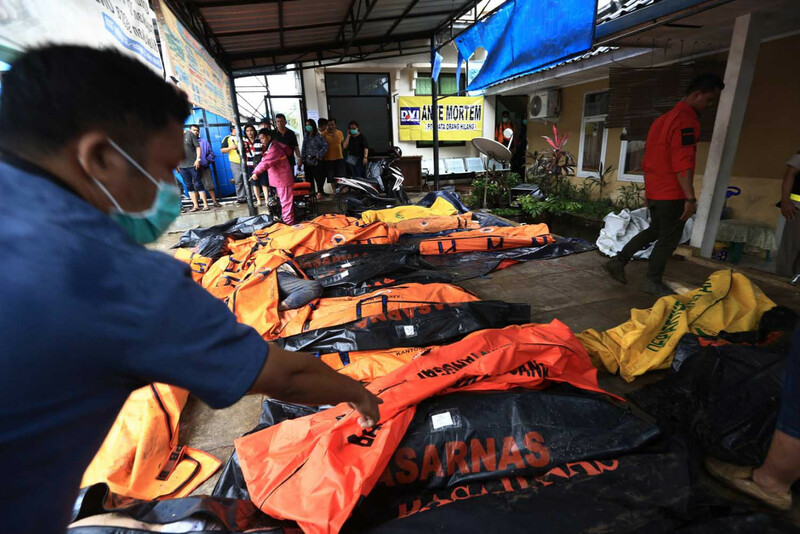 This article was originally published in The Jakarta Post's print edition on Dec. 27, 2018, with the title "2018 sees Indonesia’s deadliest year in decade".